A lace tablecloth can dress up your dining room table making it look very elegant for those special occasion dinners. 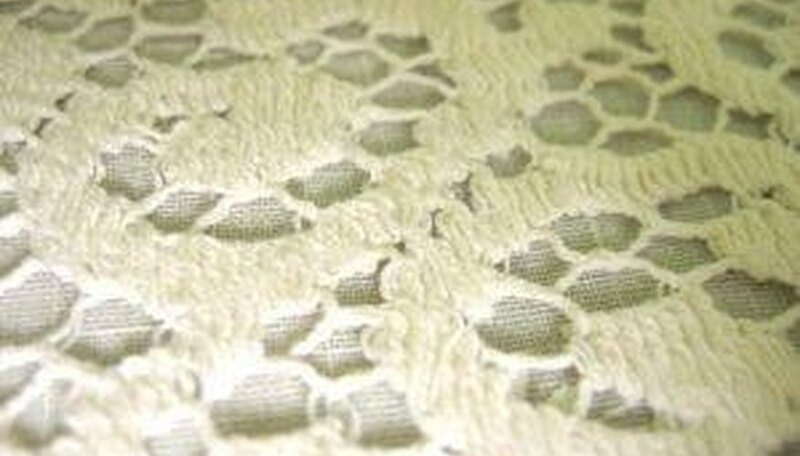 Lace comes in many various designs and colors to match any décor. Or you can use white lace with a different color under cloth to change the color and mood of the table. Making your own lace tablecloth is an easy and inexpensive way to beautify your table and it shouldn't take more than an hour to complete. Measure your table's width and length and add 10 inches to each measurement. Cut out your lace fabric to those measurements. Cut the ends of the trim on a 45 degree angle if your table is square or rectangle, straight if it is round. Pin the trim to the raw edge of the lace fabric with the right sides facing each other. Make sure to leave 1/4 inch too much in the beginning so you can sew the ends of the trim together. You can do this without pins but lace tends to stretch while you are sewing and pinning it will keep it in place with the trim. Sew on the trim using a straight stitch all the way around the fabric. Sew the ends of the trim together. Place the tablecloth on your ironing board upside down and iron the seam. Fold the extra piece of fabric toward the fabric and the extra trim towards the trim and iron it down. This will take out the bulk behind your seam and make it nice and tight and flat.